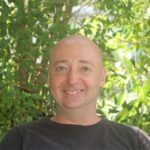 2017 got off to a wonderful start, in large part due to Stephen’s positive outlook and natural leadership skills. 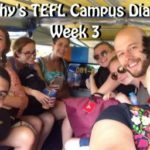 What did you get up to during the last weekend of the TEFL course? 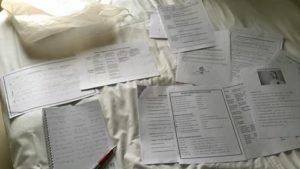 I spent most of the weekend finalizing my student profile assignment and then studying hard for the exam. I did give myself a few hours on Saturday night to drink wine and watch Netflix. 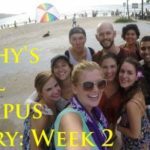 You took the practice exam on Monday; how did it go? Did it help prepare you for the real exam? It sure did, I was able to get an idea of how the exam would be set out and what areas needed the most understanding. Without it, the real exam would have been far more difficult. 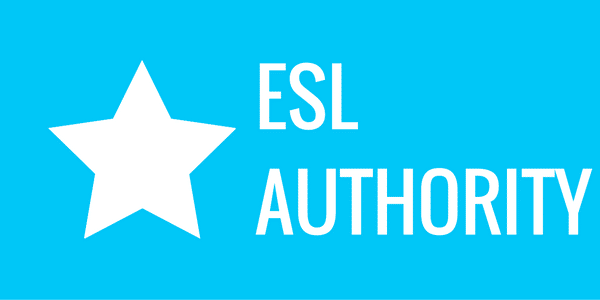 Were you happy with your final EFL teaching practice session? My final teaching session was my best one. The pressure was off a bit so I was able to relax and just have fun with it. The students noticed, as did Sue (a trainer) who was observing. 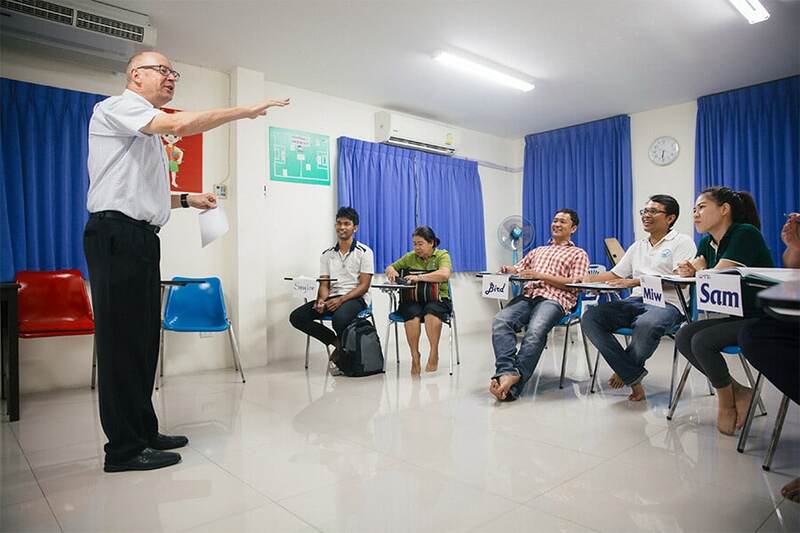 You might need to do a demonstration EFL lesson to land a good job. 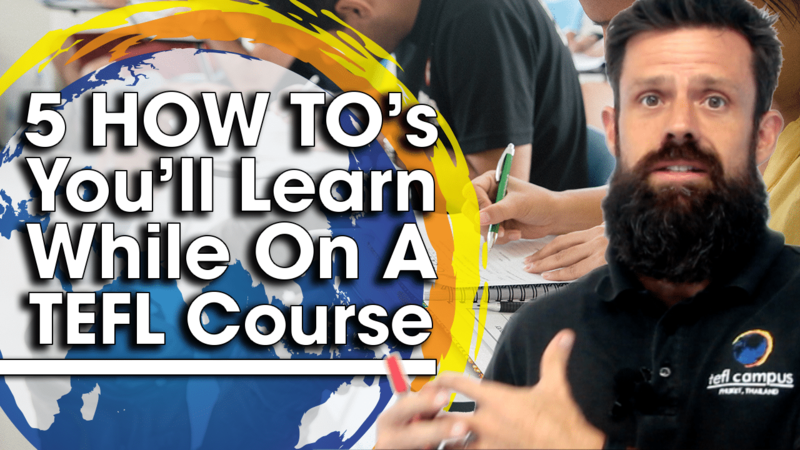 Do you think the course prepared you to successfully deliver a demonstration lesson? Having to prepare the six lessons has definitely taught me enough so that when I do need to do a demo I feel confident that I can deliver. 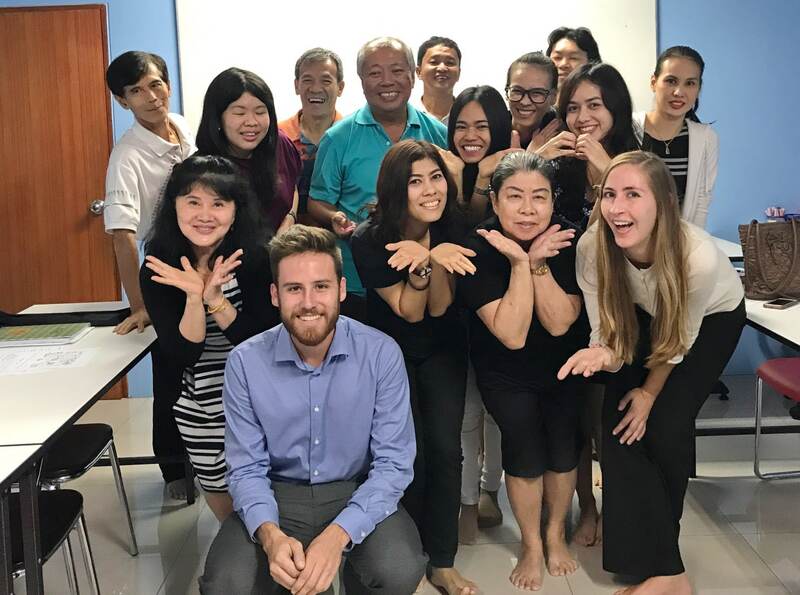 Taking our TEFL course isn’t all fun and games. I’ve never been good at exams and this is the first exam I’ve had to sit in 30 years. Yes, the stress was unbelievable and even though at 8am Tuesday morning I thought I would be fine, I did get mind blanks during parts of the exam, causing me to lose silly marks for things I actually knew. No more exams for me. 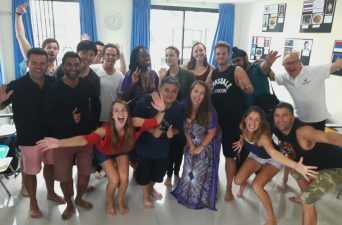 How did you and your fellow trainees celebrate the completion of your TEFL course? 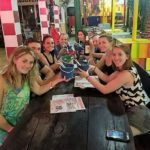 We all went out for a nice dinner and drinks together on Tuesday night after the exam. It was so nice to celebrate together. Then on the last night of the course, we went out to celebrate with our trainers, which was good fun. 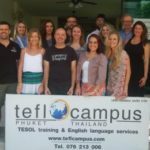 How does it feel to be a newly certified TEFL teacher? This is the best feeling. The importance of learning how to plan lessons and deliver lessons cannot be discounted. Having the actual certificate (that you have earned), makes it all worthwhile. Every potential employer wants to see it. 100% happy. Now I am ready to teach and feel confident. 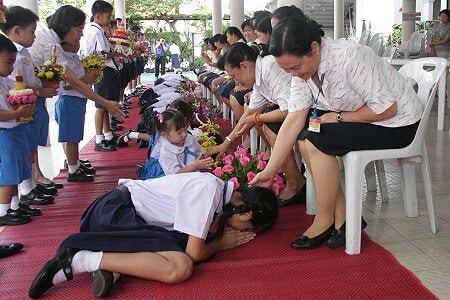 I’ve been to Thailand many times before so know what to expect. The two biggest things for me are adjusting to the food (food poisoning at some point is to be expected) and it took a couple of weeks of getting used to throwing toilet tissue into a bin and not flushing it down the toilet. No. The course is laid out in such a way that I was able to plan enough down time to study time. It definitely helped that I had been to Phuket before and had already done the touristy things. 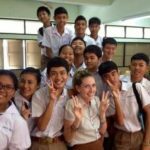 Are you looking forward to getting out into the real world and find a TEFL job? Already in it! 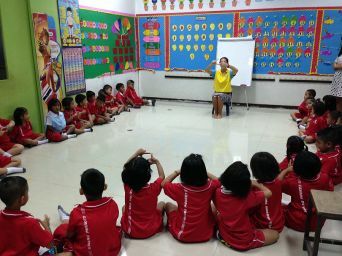 About to start a one month contract at a government school in a district 108 km north of Bangkok called Saraburi. 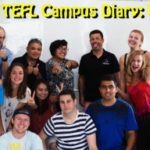 Excited and nervous at the same time, but I do feel very prepared after the TEFL training course. 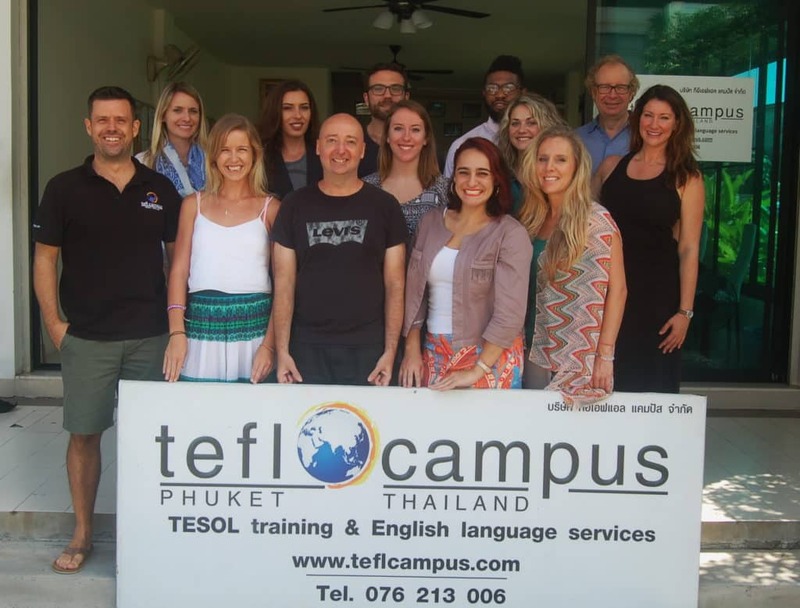 Would you say that TEFL Campus Phuket lived up to your expectations—be honest. Totally. While Phuket isn’t my favorite destination, it is very easy to live there for a month. The school is conveniently located which made transport a non-issue. The course was what I expected, the support was more than I expected (and is still on-going), and the confidence I now have after completing it is totally worth every cent spent.